I turned the corner and stepped into what felt like some weird version of Star Wars. There was an R2-D2 style robot coming straight towards me and I stopped, dead in my tracks! This robot, Knightscope K3, is an autonomous machine that was doing its security patrol of the main concourse in Golden 1 Center. With more than 30 sensors, including five cameras, the robot monitors the area for anything that may be out of the ordinary. If it senses a potential problem, the K3 will notify Golden 1 Center’s team in Mission Control, who will be able to monitor the situation and determine an appropriate response. You unlock your phone, open up the Kings app, and look for tickets. You buy them (and a parking pass) in the app, which is connected to the team’s loyalty program, so you’re automatically on the list for last-minute ticket upgrades. As you approach the stadium, your phone buzzes: a notification from the team telling you which lot is the easiest to park in right now. You park, walk up to the arena, scan the ticket displayed on your smartwatch and stroll through the turnstile. Your app guides you to your seat and asks if you want a hot dog or a foam finger. Attendants can bring either one to your seat in a few minutes. You’re late, but that’s fine; the app has replays and stats. Or you can just look up at the 84-foot (that’s foot, not inch) screen that’s carefully designed to make sure you can see it perfectly no matter where you are in the stadium. My visit with the Kings included spending a couple of hours with the sales organization and the leadership team. I also had the good fortune of spending the evening with a group of VIP fans at the Crest Theatre where we went deep on a Q&A that covered a wide range of issues related to sales, leadership and the future of work. We closed the night with a live show from The Chainsmokers where I got to experience a Golden 1 Center sellout! Bottom line, if you plan to deliver the best fan experience in the industry, it starts with the sales experience. 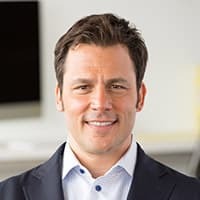 Phil Horn, VP of Sales for the Kings, is equally obsessed with the sales experience and perhaps most importantly, “selling to customers how they want to buy.” It’s a never-ending quest to continually improve the team, strategy, customer engagement and deliver more value through the life cycle of their relationships. Your sales team has experienced a lot of success over the past few years. Where do you go from here? “When we opened our new building, we set a high bar for ourselves. Now our challenge is to build on that performance. We want to continue to progress and reset the bar. We recently came up with an identity update for the team. We wanted to revisit the words and phrases that have been core to our sales culture for years and give them a refresh. Belief: We believe in our people, and we know we have the best talent anywhere. Because we believe in them and know they’re incredibly smart, talented and self-directed, we want to support them and allow them to be a little autonomous. Progress: Our owner is focused on continued innovation, and we want to reflect that in our sales culture. We never want to get comfortable — we’re always look at what’s coming next and we want our people to push their own boundaries. Family: Family is a reflection of what we stand for as an organization. In any sales culture, sometimes you need a little extra energy and bonding to work through the peaks and valleys. When you know you have a family standing around you — people who are going through your battles with you — that gives you the will to jump back on the front lines. We’ve tried to build a collaborative culture, and much of what we do is peer-to-peer sharing of best practices and ideas. Strong move. Customer loyalty and evangelism starts with the sales experience. Delivering a differentiated and compelling sales experience requires an identity and standards established by engaged leadership and informed by the sales culture of the organization. It’s work the best sales leaders never ignore. Fan experience is everything for NBA teams today. How have you found new ways to improve the sales experience? “We’re in the experience business. Selling sports is really about experience marketing, and we’re always trying to reinvent and one-up the last experience. Selling used to be all about going to a customer’s office and sitting across the conference table from each other. We still visit our customers’ offices, but we work in an arena. That’s an exciting place to be, and we want to share that experience with our customers. We try to create an experience around every meeting. Buyers are only going to become more empowered and informed, with even higher expectations. Traditional sales strategies will continue to decline in effectiveness, forcing managers to rethink the sales engagement. Bottom line, you need to sell the way your customers want to buy. Technology has been huge in the Kings fan experience. How does technology play into your sales team’s process? What new tech is your team experimenting with? “We’ve become experts in how people communicate. We want to communicate with people with the right mediums, at the right times, and we want to understand them before we have a conversation. We’re really leaning into that. We’ll look at someone’s Instagram stories to see what they’re sharing and what they’re interested in, for example. Video has been big for us. We’ve found that a video email gets double the open rate and engagement compared to a traditional email. We have a studio right in our office where reps can create green screen videos for their customers and prospects. A rep can make a video to prep his prospect about tonight’s event, tell them where to park, and what the weather’s going to be. It gets reps out of the sales tunnel vision, and pushes them to get creative. We use OneMob to do mobile video. Our sales team can take a video from anywhere and send it to contacts in the CRM with a click. If you want to sell and win in a connected economy, you need a digital mindset. The best sellers are becoming micro-marketers, embracing social technology, constantly expanding a dynamic network of connections, using data to drive time and territory management and delivering more personalized and customized sales engagement through technology that is accessible on any smart phone. You’re doing a lot of innovative things, but the fundamentals of sales always stay the same. What are the fundamentals that haven’t changed for you? “Technology is great for engaging people and getting their attention, but we still close 90 percent of our major transactions through face-to-face meetings. When someone’s making a big decision, they need to see you in person. Everything we do is about putting us in the position to have a face-to-face meeting with someone. Developing a relationship and making someone feel comfortable with you is still the biggest asset a seller has in their toolkit. Our leadership team continually has to make sure that goal stays in focus. No one can get too comfortable behind the phone or a screen. While a digital mindset is important, you cannot automate relationships. In selling, there is no room for hiding behind a screen and no replacement for the in-person meeting. Face to face wins and the training to improve never stops. Let’s talk about what has changed. What’s one thing about sales management that is radically different today than when you first started running sales teams?